The sartorial ethos in the classic chick-flick In Her Shoes has always resonated with me: you might grow out of clothes but shoes will always fit; shoes will never make you feel bad. Footwear has become more of a weakness opposed to a practicality as I've got older and that has never been more true than now, especially as ankle-boots are beginning to line the shelves of every high-street shop. Not one to manage heels with elegance, flats of all kind are my go-to from day to evening (on a special occasion I'll begrudgingly make an exception), especially during winter when icy/frosty surfaces are not on my side. Undoubtedly influenced by the Gucci designs that have hit the fashion-conscious head-on (they have really nailed it with their leather footwear this season), the current shoes from catwalk to high-street have taken a leaf out of the headway designer brands book and produced some to die for footwear making my online-shopping habit increasingly worse each day. Luckily, the high-street options are making my lack of designer that bit less painful. 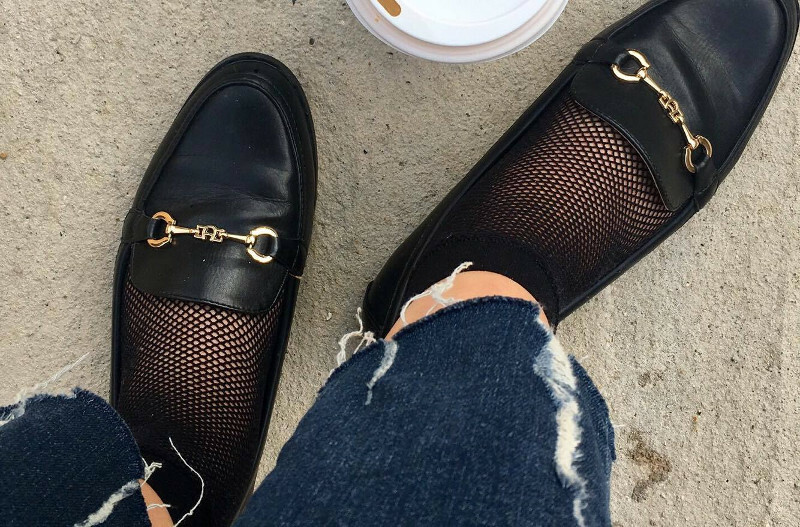 Considerably more wearable than even your most-loved knitwear pieces (although perhaps denim jeans would give them a run for their money), shoes are an investment that can tie together even the most un-done of outfits. Neutral/monochrome shades, simplistic design and versatile wear-ability are typically what I look for and, although I am partial to trainers for most occasions, I find the smarter the shoe, the more I want to wear them. I have not stopped wearing this pair of loafers since I bought them, sharpening up a pair of jeans and comfortable enough to wear all day, they are ridiculous value for money. 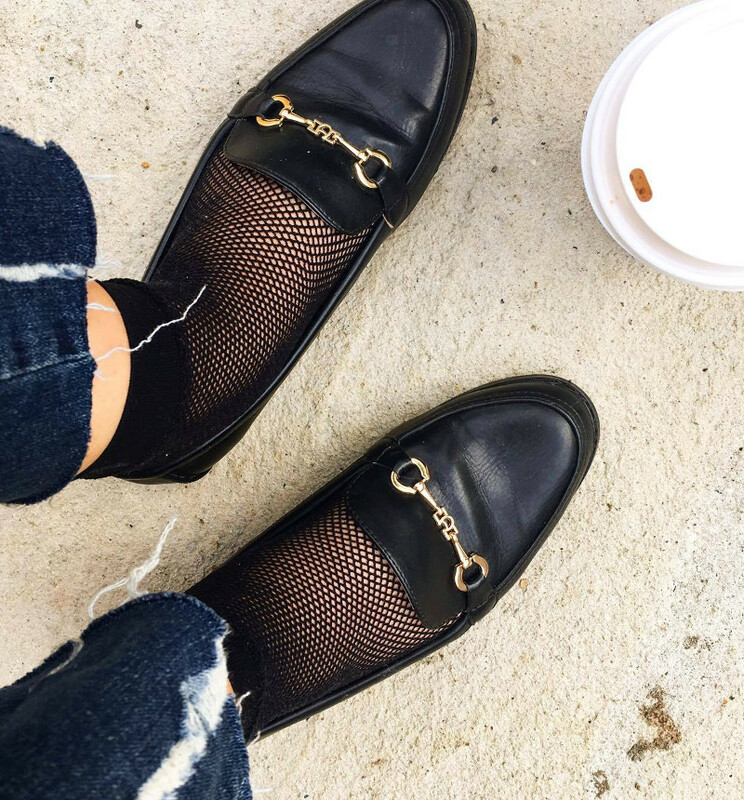 Teamed with a pair of fishnet socks (perhaps a marmite item for some but I can't get enough) and frayed-hem denim jeans, they tie together the smart casual combination with ease.